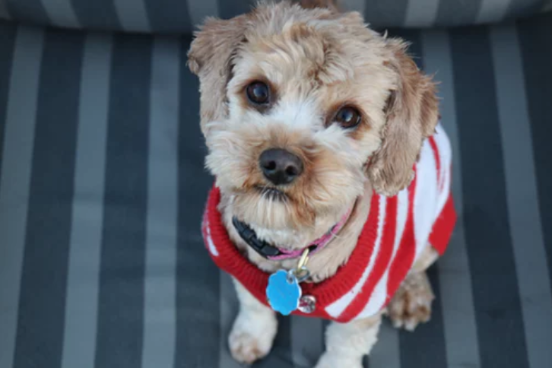 Your family may think that they’re ready for a new, four-legged addition, but there are a few points of awareness you should possess to prepare your home fully for owning a dog. Many different dog breeds can be available for adoption, and every one has its own special needs. Some dogs are not so well suited for a home with small children. Some dogs are great with kids. Whatever’s the case, you should know what your dog will need, and find a friend that best fits your household’s daily lifestyle. If you have children in your home, you want to make sure that Fido won’t be a danger to the little ones. You’ll need to find a dog that can handle the occasional ear and tail pulling. Here are a few breeds that are known for their excellent relationships with children. Dachshund: They aren’t the best around other small animals, but a Dachshund will cherish the high energy and spirit of your children. They love to get out and run around. Beagle: Beagles are sweet tempered, and they love to be a part of a pack (dog or human). They love to explore new scents, so your Beagle will be an excellent exploration partner for the kids. Boxer: If you want a larger pal for the children, get a Boxer. They are patient and protective of their owners. Boxers also have plenty of energy to keep up in with running children. If you live in a household that is extremely active, then you’ll need a pal that can keep pace with your whirlwind lifestyle. If you live a very laid-back existence, on the other hand you’ll want to avoid adopting a dog breed that’s known for its high-energy needs. Corgi: Corgis are super-athletic dogs: a huge gift packed in a fairly small package. They love exercising and performing jobs, so keep this little guy busy. Dalmatian: Dalmatians are full of endurance, speed, and intelligence. You need to be willing to spend a lot of time keeping this astute breed stimulated. German Shepherd: These dogs were born to work. With lots of training, your German Shepherd could become one of the most productive members of the household. Some humans love to relax, and spend a lot of their free time lazing around the house. Fortunately, there are plenty of pups to match the more sedentary lifestyle as well. English Bulldog: Most breeders warn new owners of this dog’s extreme ability to snore. If you want a pal that will take naps and watch the time pass by with you, then the English Bulldog is the breed for you. Basset Hound: Basset Hounds were originally bred to be hunters, but have evolved along the way to enjoy a good nap. They are great with kids and very patient companions. English Mastiff: If you’re looking for a big ole baby, the English Mastiff can meet all of your needs. These dogs require very little exercise to stay healthy and happy, even though they are very large.